Lyrics follow the you tube if you'd like to sing along. Girls came at 4 for Nan's birthday. We had supper at 5:30. ... Girls went to movies. It rained hard all p.m. to 1 a.m. Cellar leaked. They walked home in rain, had cocoa and to bed @ 11. Still talking @ 11:45. & 1 in bed with our eyes closed. We went to bed at 11:00 but we talked & giggled & laughed until 20 minutes of 12. Then Mom told us to be quiet. I love all three of those kids. When the cake was set before me I wished I could get a horse & I blew out all the candles. Oh my, how very innocent. And yet it was really fun. I thought so then, and I still remember it as such. I'm not sure a 13 year old in 2011 would be quite so satisfied with such a simple time. I'm still a simple soul. I expect our evening will be much like our others - supper and some tv. The kids are all working, and it is snowing to beat the band today so I don't expect anyone will stop by and we certainly won't be going out. PS - that's me on the left. I have written this book because, in my business [Le Gamin restaurants in New York City and Boston], I see a constant flow of Americans looking for that thing that the French call joie de vivre. Americans are fascinated with how the French manage to live so well, and so contentedly, in their ordinary, day-to-day life. It's not just about cooking, decorating, or entertaining - it's about enjoying all the small details of domestic life. It's about making time for family, growing some vegetables in your garden, chatting with the butcher, and cooking for your family and friends. Joie de Vivre: Simple French Style for Everyday Living tells all about the joy I find in French home life and shows my American friends how to find this particular French style of happiness. Although I say this with all humbleness, I truly feel that this book may help you enhance your life. I know that Americans are looking for and deserve their bit of joie de vivre, and in these pages are many tips and some advice that may help you in your search for domestic happiness. Take away what you like, make it your own, and most importantly, enjoy what you do. Well, that is simply an irresistible proposition, isn't it?! Who wouldn't want to read this book? Robert Arbor takes us through a day, beginning with breakfast. the basic, delicious French breakfast consists primarily of coffee and bread. ... in my country adults do not eat eggs for breakfast. We do enjoy eggs cooked in many different ways for lunch or dinner, but at home, the French have only coffee and bread for breakfast. I was pleased to read that my beginning of the day is already quite French. He writes of the café press which I've used for a few years now. I find it much simpler, and the coffee more delicious than using an electric coffeemaker. I even wrote about it here a few years ago. At breakfast, everyone drinks from their own bowl, which takes the place of a cup or mug. ... Drinking coffee, hot chocolate, or hot milk from a bowl is very comforting. The hemispheric shape lets you cup your hands around the warmth. I was so smitten with the notion of drinking my morning coffee from a bowl that I went online to see about buying a couple French coffee bowls. 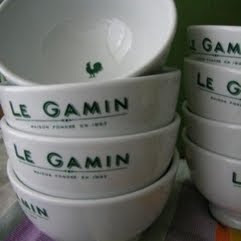 I found them but one morning I thought, why not use my Fiestaware bowl? And it was perfectly wonderful. The bowl added a whole new dimension to this simple activity. I'm hooked. It's a bowl for me from now on. I used to drink my coffee at the computer. Now I sit at the table with my bowl of coffee and homemade toast topped with butter and St. Dalfour jam, which I've used for years. It is a peaceful time for me. The sun comes in the kitchen windows and I happily read my New Yorker magazines. The author lives part of the year in France and part in America. At this writing he did not have a garden but he hoped to in the future, and writes about the French vegetable gardens in a chapter called Le Potager. Here, as in all the chapters, he offers recipes. You shall soon be seeing a post on Oven Fries a`la Nicole, and in the summer,Tomato Provençal. has a lovely big table but not one inch of counter space. Most French kitchens do not have built-in cabinets or drawers or special light fixtures. Several old pieces of furniture hold everything we need for cooking and serving food and also function as the pantry space. ... The entire space measures about ten by twenty-five feet. is as joyfully simple as my kitchen in Flaujac. Surprising, no? But this is the point - you do not need to spend a lot of money to have a pleasant and workable kitchen. Having all the bells and whistles will not make your food taste better nor will it turn you into a happier cook. Every recipe in this book, and those in most basic cookbooks, can be made using standard appliances and inexpensive tools. ... The entire kitchen measures about eight by ten feet. His counters are not the ubiquitous granite, but formica! And he is not a fan of islands. He says the most important thing about a kitchen is 'not how modern it is or how much money it has cost but how much you enjoy being there.' Amen!! He writes about something which will delight the dog lovers - when he was a child, his dog sat at the table! He sat on a chair and ate off a plate. The story about Agos demonstrates how relaxed and loving the atmosphere was during those childhood dinners. In France, they have a 'pause gourmande' - an afternoon snack between 4 and 6 p.m., and have dinner at 7:30 or 8. A 6:00 p.m. mealtime means that someone has to be home to cook by 4:00 p.m. and, let's face it, working people just aren't home then. If you ask all the family members to have a pause gourmande, ... then a 7:30 p.m. or even an 8:00 p.m. dinner becomes a reasonable thing. A bit to eat and something to drink [he doesn't mean alcohol] around 5:00 p.m. keeps the hunger at bay and helps make the entire afternoon a little more pleasant. Adopting the custom of pause gourmande allows the cook to get home from work at a reasonable hour and still have adequate time to make something nice. ... When you eat at 6:00, you are still wound up from the day; a later dinner gives everyone more time, so that they can be fully relaxed by the time that the napkin goes on their knees. And if it can't work for people every night, he has further suggestions. This is what the book is all about. He doesn't preach, he doesn't coerce. He simply suggests. He offers ideas to help each one of us to live a little more joyously from the time we awake until the time we go to sleep. 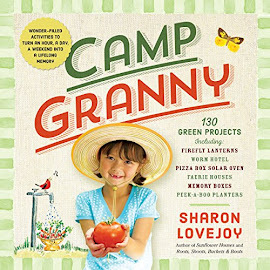 It is a wonderful guide to living and I deeply enjoyed this third book in the Foodie's Reading Challenge. First of all, I delighted to read mention of the last Agatha Christie book I read, The Mystery of the Blue Train in Peril At End House. I remembered. 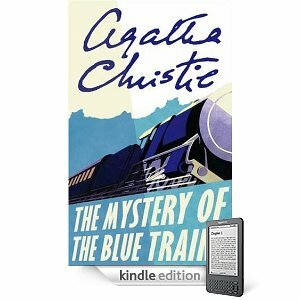 A murder had been committed on the Blue Train, and the mystery - a complicated and baffling one - had been solved by Poirot with his usual unerring acumen. I was pleased to see Hastings back. I've mentioned before my fondness for this character, both in the novels and on the small screen. Yet this is an Agatha I didn't love. It was okay, but odd. There weren't any characters I could connect with or feel a fondness toward, except of course Hercule Poirot and Hastings. It was an unsettling case for Poirot. He feels old. He feels like he is missing things. It takes him a long time to figure out what is going on. Our pair are visiting the seaside. A young woman with the childhood sobriquet of 'Nick' has had several attempts made on her life. She's been lucky so far to avoid being killed, but Poirot wants to make sure that the killer isn't successful next time. He asks the woman to have a friend come and stay with her, and when Maggie is murdered in a case of mistaken identity, he blames himself thinking he should have prevented it. He gets Nick admitted to a hospital facility and prohibits any outside visitors. He tells her not to eat anything brought in from outside. 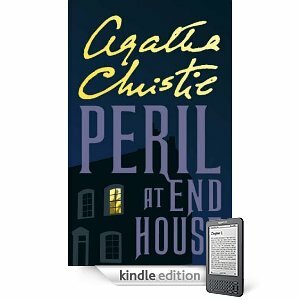 Writing in her autobiography thirty years on, Christie asserted, 'Peril At End House was another of my books that left so little impression on my mind that I cannot even remember writing it.' But despite the author's modesty, Christie aficionados reckon it to be one of her best books, with an ingenious plot and stronger characterization than is the case in some of her stories. I doubt I shall ever forget the night that followed. Poirot was a prey to such an agony of self-reproach that I was really alarmed. Ceaselessly he strode up and down the room heaping anathemas on his own head and deaf to my well-meant remonstrances. I have come to truly look upon this book as a 'companion,' and I highly recommend it for those who love Agatha Christie's work. I am forever grateful to my kind internet friend, Stacy for sending it to me. So, would I recommend Peril At End House? Yes, of course! Even though I didn't find the story so appealing, I did like seeing Hercule Poirot in this new light. His gloom didn't last, and his spirit was back when he solved the case, but his character has acquired a depth that wasn't there before. Oh, what a writer, Agatha Christie was! Please go visit Beth Fish Reads for more great weekend cooking! Doesn't this look delicious?! I read the recipe on an email cooking list nine years ago, and this is the first time I've made it. I wish I hadn't waited so long. It is divine. It is perfect. Beat butter and 1 cup sugar in mixer. Add orange peel and juice. In a separate bowl, combine flour, baking powder, and salt and add to butter mixture alternately with milk. Chop the cranberries and stir 1/2 cup into batter. Mix other 1/2 cup cranberries with the 2 tablespoons sugar, and sprinkle on top of batter. Note: the recipe called for a 9-inch springform pan which I didn't have, so I used a bundt pan. It worked great. When I turned it out after cooling, I flipped it back over so the top with the cranberries showed. Bake 40 minutes, until toothpick inserted into center comes out clean. Cool pan on wire rack 10 minutes. Remove from pan. When cool, top with orange whipped cream. Beat together and frost the cake. Note: the original recipe called for orange flavored liqueur in the whipped cream, but I don't like an alcohol taste in anything but a cocktail :<) so I used orange juice instead. Do you know the Mary Engelbreit quote, 'Life is just so daily?' Well, that phrase kept popping up in my head as I read this Mrs. Malory book. It is so daily and that's why I love it. Sheila cooks and feeds her cat and walks with the dogs. She loves her son Michael to pieces, and is happy that he lives with her while doing law work in his late father's firm. She frets and she rejoices. There are people in her life who annoy her and people she treasures. She is truly an everywoman, and the reader feels that Sheila is a friend. A literary friend yes, but a person very like our own real friends if we are lucky. When an unpleasant house guest is found murdered on the beach in her town, of course Sheila Malory gets involved. 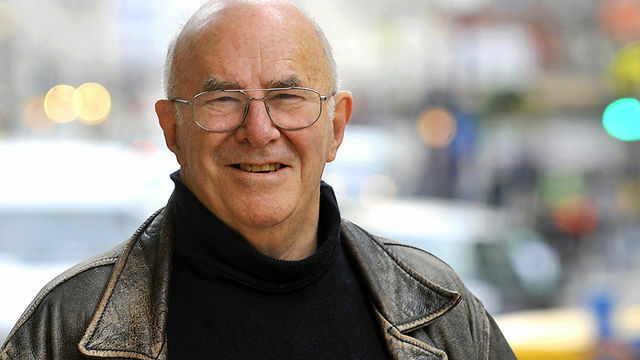 Graham Percy was a friend of Sheila's late husband, and her home is one of the stops on his tour of friends each year. A more sensitive or perceptive person might perhaps have noted a certain lack of enthusiasm, a rather forced joviality on our part, but Graham, like all self-centered people, sees what he wants to see and, I'm sure, always describes us to other people as his oldest and dearest friends and looks forward to his visit in Taviscombe as one of the high spots of his year. As the story progresses, we find out that everyone he visited thought him a disagreeable man. He was a 'hanger-on' who tried to push himself on others even as a young student. We wonder why they all put up with him year after year. This is one of those mysteries where the sins of the past cast long shadows. The book is sprinkled with literary references from Shakespeare to Jane Austen. Mrs. Malory is a scholarly woman, yet utterly unpretentious. ... the kitchen, which was a large, airy room, with blue and white flowered curtains, a Welsh dresser laden with brightly colored crockery, an Aga, a heavy kitchen table covered with a deep blue chenille cloth, and several comfortable chairs. On the seat of one of the chairs, curled up on a patchwork cushion, was a large tabby cat. The whole thing looked exactly like the stage set of some 1930s comedy by Eden Phillpotts. "Oh, do look, David! There's a McDonald's here now. All done up in the local stone, but definitely a hamburger joint, here in Bath. What would Jane Austen have said? Or her characters? Think how sarcastic Mr. Knightley would have been, or Mr. Darcy!" "Oh, but think," David replied, "how Lydia and Kitty Bennet would have loved it! Hanging out at McDonald's would have been so much more fun than trailing into Merryton to catch a glimpse of the militia!" 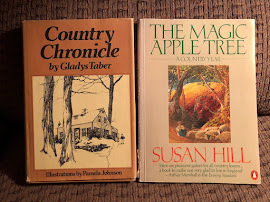 This may be my favorite Mrs. Malory book so far, and after I finished, I thought to myself that I could probably be very happy reading only these four mystery authors: Hazel Holt for cozy mysteries, Agatha Christie for old mysteries, and Deborah Crombie and Arnaldur Indridason for modern mysteries. The past two nights spent sitting in front of my television were as close to heaven as I could get without actually being in NYC for the Westminster Kennel Club Dog Show. I posted pictures in 2007 of my top dog picks, and I wrote about my favorites in 2008, here. I was so interested to look back at these blog entries and see the list of dogs I chose then compared with this year's choices. Although I still adore the ones I pictured in 2007, just one of them is on this year's list. And from the 2008 post, I've eliminated all but two. I think it shows how I have changed, and how our life has changed over the past years. Margaret and Matthew building their house down the road is a factor. If there are grandchildren someday, it is imperative that I can completely trust a dog with them. And as much as I would love a Scottish Deerhound or Irish Wolfhound or a Great Dane, their size could prove overwhelming to a little one. Our dog family has changed as well. In that February of 2007 as I watched the Dog Show, we had three dogs. Then our MacIntosh died six months later. We lived with the two blacks, Ben and Sadie, until last month when we lost our Ben. Now we have one. We've had only one dog for just two periods of time since 1973, the last time being, 1984-89; a Belgian Sheepdog named Lucy. Other than that we've always had two or three, and for a short glorious time we had four. I posted about our 'dog stats' here if you are interested in reading about our 38 years of dogs. I've written oftentimes about our dear Sadie, and how she truly is a one-family dog. Well, we think that goes for other dogs as well. She did fine as a puppy, coming into a household which had three adult dogs. But now, she is the alpha, the only, and I fear she wouldn't accept another dog at this time of her life. So Tom and I have made the decision that we will get no more dogs until she goes. Then we will get two or maybe three puppies so our life can be wild again! And so, without further ado, here are the dogs that made my 'best in show' this year. 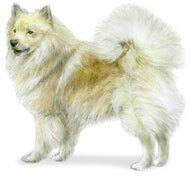 After the show, I researched the breeds to make certain they were the right dogs for us. This is a definite for us. We barely had two good years with our dear MacIntosh before he became epileptic, and then he only lived another five more. We had him groomed (shaved) every few weeks because his coat was so much work. The Smooths are the same dogs as the Roughs, minus the coat. These dogs are wonderful with children and the dearest souls you can imagine. Icelandic Sheepdog -perfect for my new found love of this country. Maybe I'll name him Erlendur! Clumber - just about the dearest face I've ever seen. 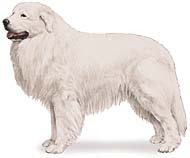 English Setter - 'unsurpassed family dog. fondness for children. well-mannered. mellow' - perfect for us. 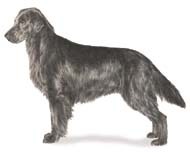 Flat Coated Retriever -the only purebred who had a bit of the same look as our Ben - and I love the description of having a tail that never stops wagging. Leonberger - 'calm, graceful, loving family dog' and for such traits I could put up with 'sheds like crazy.' No drawing but a great photo! 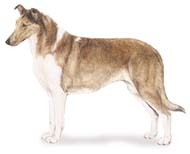 This is the next on my list after the Smooth Collie. If we are very lucky, we will have our Sadie for another five or six years. I wonder if these puppy choices will change in that time. Somehow I don't think so. Each of the ones I've listed is a good fit for us and the way we live. Of course no one can predict the future. In six years, I'll be (gulp!) sixty-nine, but with continued good health, I think each of these dogs would fit into our lives just perfectly, and keep us young as well. I think most of us know that there is too often a hint, either broad or subtle, of anti-Semitism in Agatha Christie's work. It makes me cringe every time I read such passages. And she isn't the only author. In those years, there were prejudices which were expressed in life and in literature. I like to think things are better now, but I'm not so sure. I recently read a piece in the New Yorker about the Shinnecock tribe in the Southampton area of Long Island, and the writer noted that a trustee of the group used 'racial profiling' in his descriptions of people. As much as I hate reading any kind of prejudicial remarks in fiction, I still do not believe in changing the words of old books. That's like changing history to suit ourselves. 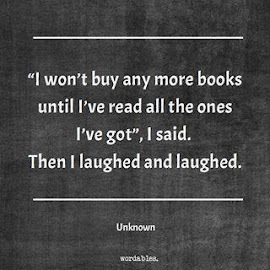 Literature is sacred to me, no matter what it says. I think it is better for people to read something distasteful and discuss it with others, or breathe a sigh that such words, such sentiments are not as acceptable now. The question startled her, and she drew in her breath sharply. And naturally, excitement does come into Katherine's life in the form of this murder on the train. She becomes a kind of assistant to Poirot in the case. She looked at his twinkling eyes, and was confirmed in her first impression that there was something very attractive about M. Hercule Poirot. This is the first Poirot in my recollection in which a woman has viewed him as attractive. She doesn't fall in love with him, and they are merely amiable friends in the story, but I wonder if it occurs ever again, and if not, why not? I think it would have been a nice touch to have a little love in Poirot's life. The Mystery of the Blue Train was an interesting, involved case with a number of disagreeable characters. As a mother I had a hard time with the murder in this one; the death of a man's daughter. Agatha doesn't dwell on his sadness, but the reader is all too aware of how he feels. I read that this is the first time St. Mary Mead was described by Christie. My Agatha Christie: A Reader's Companion by Vanessa Wagstaff & Stephen Poole, which I've mentioned before, offers this great picture. She was later to say that she hated it and thought it the worst she had written. Her readers did not agree and while it is far from her best book, it is not a bad read. It is based on her short story 'The Plymouth Express,' later published in the UK in Poirot's Early Cases (1974) and in the USA as one of eight stories in The Under Dog (1951). If you substitute 'fictional' for 'living' I would certainly agree. Even a not-so-great book is still worth reading for the joy of learning more and more about Hercule Poirot. With names of trees, birds, bugs and things like that. I've tried to keep my notations consistent but it seems like every book cover describes this series in a different way. I've decided to simply call it the 'Inspector Erlendur' series. And if you've been reading my book reports on the series, you will know that the first two have not been translated into English, so, although Jar City for example is the first one translated, it is the third in the series. That's why this book is listed as eighth, even though it is only the sixth in English. I saw at the Fantastic Fiction site that the next after Hypothermia is due this year! There is also a non-series book called Operation Napolean which I have on order. When I pick up an Erlendur book by Arnaldur Indridason I truly do sink into it. I become almost mesmerized by the writing and the detail. As I have noted in previous book reports, the leitmotif is missing persons. There is so often a new case or an old case that involves someone who disappeared, often without a trace. And this theme is echoed in our detective's own past experience. This event which happened when he was a boy of ten has defined Erlendur's whole life. He is a quiet man who asks and expects little of this world. He has an ex-wife, a daughter and a son, and a new girlfriend. Aside from these people and his co-workers, his life is one of isolation. He likes the dark days of winter. His reading is limited to accounts of those stories which deal with the lost. His woman friend, Valgerdur tries to 'drag him out to the theatre' but pretty much the only outside activity he enjoys are musical concerts of 'choral music, solo performances and concerts by the Symphony Orchestra.' He knows nothing about popular culture. He simply doesn't do what most people do. Erlendur didn't know much about hot tubs; he had never sat inside one, nor did he feel the slightest urge to do so. 'What about all your leave, don't you want to do anything with that?' Valgerdur asked. The Mount Hardskafi area is where Erlendur grew up, and where the tragedy in his life occurred. In Hypothermia, a woman named María has committed suicide at her summer cottage on Lake Thingvallavatn. It looks straightforward. It has been called a suicide, but Erlendur is uneasy and wants to know more. Why die and leave a home like this? he wondered. Is there really nothing here to live for? He knew such thoughts were futile. Experience showed that motive for suicide could be unpredictable and unrelated to a person's financial situation. The act itself frequently came as a total shock and could be committed by people of all ages: adolescents, the middle-aged and elderly, people who decided one day to end it all. He essentially goes off on his own in this book. He has a feeling, a concern and he wants to pursue it. 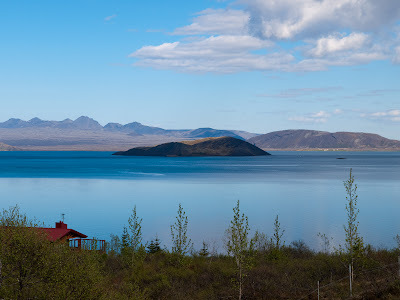 María has led a sorrowful life, beginning with the death of her father in this very lake when she was just a child, in fact the same age as Erlendur was when he experienced his own loss. 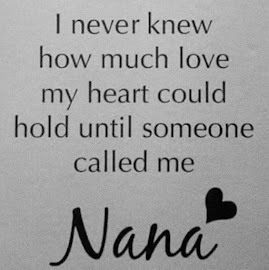 Since that time she and her mother have been exceeding close, even to the point of her mother living in the same house with the daughter and her husband. The mother has recently died from a lingering disease, and this may have been the breaking point for poor María. 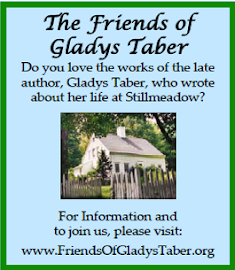 We learn more and more about her life and the people in it as the book goes along in its deliberate way. At the same time he is studying these circumstances, he begins to take a second look at three old cases which involve the disappearances of young people nearly thirty years ago. The father of one of the young men makes visits to Erlendur on the occasion of his son's birthday. The mother has died, and the father is old and ill. Erlendur would like to be able to tell him what happened to his son all those years ago. At the same time, his daughter Eva Lind wants her parents to re-establish some kind of relationship, so Erlendur must again look into his early life as a husband and father of two young children. Yet another excellent installment in this wonderful series by Arnaldur Indridason. 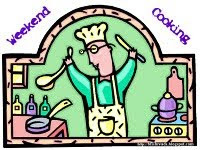 Please visit here for more Weekend Cooking. Tom and Margaret share a great love of artichoke hearts and cheese so she quite often makes this dish for them to share. Though this is called a 'dip' it really could be considered a casserole. Tom says he can't eat too much of it because it is so rich, but I've noticed he does. Put the contents of three cans of artichoke hearts through the food processor. Cook two 10-ounce packages of frozen spinach. Drain and pat dry with paper towels. Add 1 1/2 cups parmesan cheese and stir well. Top with grated cheddar, parmesan, or shredded mozzarella cheese. Bake in preheated 350ºF. oven for at least 25 minutes. You may then put it under the broiler for a bit to brown up the top. She made some this week, but it is all gone, and I'm sorry to say I don't have any pictures. In Whitethorn Woods is a well which has apparently been visited by St. Ann, the mother of the Virgin Mary. Father Flynn, the local priest doesn't believe it is holy. From what he had read and studied, St. Ann and her husband, St. Joachim, were shadowy figures, quite possibly confused in stories with Hannah in the Old Testament, who was thought to be forever childless but eventually bore Samuel. Whatever St. Ann may have done in her lifetime two thousand years ago, she certainly had not visited Rossmore in Ireland, found a place in the woods and established a holy well that had never run dry. That much was fairly definite. But try telling that to some of the people of Rossmore and you were in trouble. The people come with their supplications. The branches of nearby trees are covered with notes of request or thanksgiving. "He's off the drink for three months, St. Ann, I thank you and beg you to continue to give him strength..."
"I'm afraid to go to the doctor but I am coughing up blood, please, St. Ann, ask Our Lord that I be all right. That it's only some kind of infection that will pass..."
The well in Whitethorn Woods is the center around which this novel revolves. We are introduced to the various souls who call upon St.Ann. There are rumors that a new bypass will be built which will relieve traffic in the town and the people are divided on the issue. Some think it 'would take the life out of the place' while others feel that it would 'return to Rossmore some of its old character.' But the main issue is that it would tear up the Woods and disturb the well. 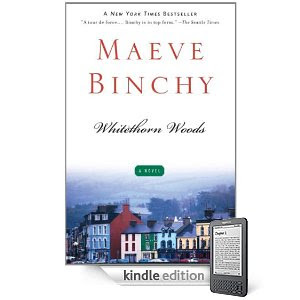 At the beginning of Maeve Binchy's books, I find myself looking forward to meeting her wonderful characters. This isn't to say they are all splendid examples of humanity, but each one fascinates me. 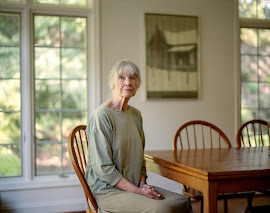 She gives so much detail about their lives, their relationships, their homes, and how they connect to one another that I begin to feel they are real, and what higher praise can be given to a novelist? We meet a couple whose marriage fell apart after their baby was kidnapped many years ago. The husband has been cruel to his wife and is now in jail. There's a murderous daughter and her incredible mother. 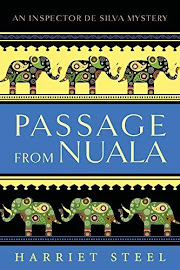 In a humorous chapter the reader is introduced to Hugo, a taxi driver who plays a part in bringing love into the life of Emer. And there is Neddy Nolan, one of the dearest characters I've met in literature. He is described as not the 'sharpest knife in the drawer' which may be true, but he is certainly the kindest person imaginable, and as it turns out, is much smarter than anyone had guessed. We learn a great deal about modern Ireland, and the change in the Catholic church there. Father Flynn has his finger on the pulse of the community as he goes about his daily ministrations, pondering his role in these times. I simply couldn't be happier with all these Maeve Binchy books. I'm beginning to wonder if I'll read any other authors for the Ireland Reading Challenge! After the intensity of Dreaming of the Bones, this book was just the ticket. I have read about it quite a few times on various blogs, the latest being Mystica's. St. Valentine's Day is coming up soon, and it reminds me of how so often when we hear the word 'love' we think romantic love. Yet really, love is all kinds of love: between parents and their children, between siblings, between friends, even between an owner and his animals. There is love for our neighbors or those folks we see often in the Post Office or grocery store. And there can be a love of place, of landscape. They each become a part of our own life's tapestry. That's what A Tapestry of Love is all about. Our heroine moves from Buckinghamshire England to the Cévennes region of France and finds the richness that all the different kinds of love can bring to a life. A day after I wrote the preceding in my drafts folder, I came upon Erin's Valentine blog entry, and she says much the same thing. Amazing. Catherine moves to an area which her family used to visit when she was a child so it is not entirely new to her, but still it seems daunting to me to think of buying a house where I knew no one. In that sense, I thought her very brave. And she doesn't move in the spring of the year, but in September. Soon the 'rains' will begin which would discourage many people. But not Catherine. She welcomes the weather and the seasons as part of this 'tapestry' of life. When our locale is part of our very being, I think we more fully accept all its facets, including so-called bad weather. This area she has chosen is not an easy landscape. 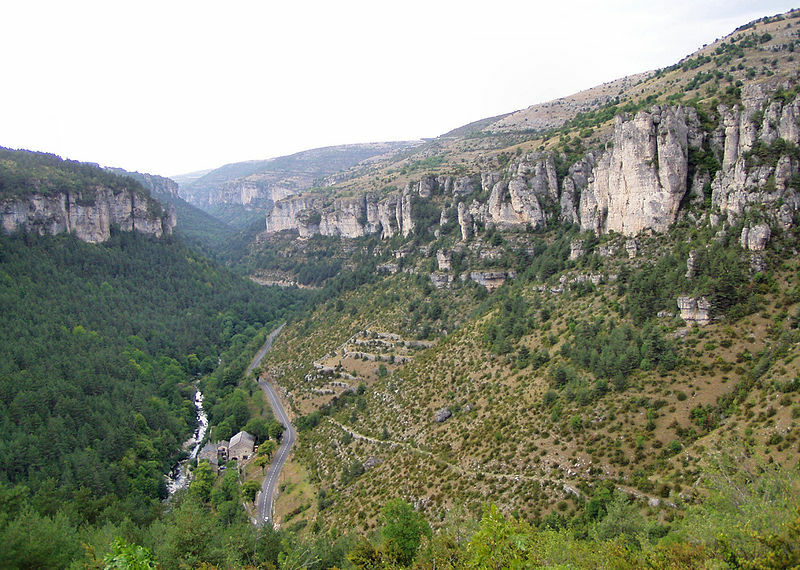 It is in the Cévennes National Park. There are roads with hairpin turns which she must negotiate as part of her daily life. In time she learns them so well she can drive even in foggy weather. Her hands on the wheel anticipated every corner, and knew just what angle to take on every bend. Her house, Les Fenils (which I've seen translated as 'the barns' and 'the haylofts'), was lived in by an older woman who has recently died. In the course of the book we meet a few independent country women who live alone after their husbands die. It feels like Catherine is following in their footsteps, continuing this tradition, though of course she is not a widow and she is still relatively young, being in her late forties. She copes with occasional power outages and other inconveniences with aplomb. She simply lives her life. An hour later, washed in cold water and dressed in jeans and jumper, Catherine was sitting in the sunshine on the stone front doorstep eating bread and strawberry jam. The door behind her was the more imposing of two doors that opened on to the terrace courtyard at the front of Les Fenils. They stood at right angles to each other, one leading into each arm of the long, low, L-shaped house. There was no back door, because the north wall of the house - the back of the longer of the two arms - was solid and windowless, built to fit snugly against the wall of grey-black cévenol granite which rose steeply above it, house and gorge chiselled from the same rock. From where she sat on the step, Catherine saw the tops of the small orchard which sloped away below the house in front of her and to the right; built in terraced steps, it was shored up on drystone walls and held together by the roots of apple, greengage and Mirabelle, as well as the tenacious old turfs which Monsieur Bouschet had mown for her. Further up into the crease of the hill to her left, beyond the short south wing of the house, stood a cluster of sweet chestnut trees, traditional providers of flour for mountain bread, and at their feet a row of empty beehives. This was the limit of her land, and from her lowly vantage point she could see no further in any direction - except for straight ahead of her, south across the little valley to the ridge of wooded hillside opposite. Halfway down to St. Julien was another clutch of ruins, what might once have been two or three farmhouses and a scatter of outbuildings - the best part of another hamlet. The book is full of such descriptions. Every place Catherine goes becomes familiar to the reader. Her walks in the woods, the village, the house she visits. I don't know when I've read a book in which I felt so at home because I could really 'see' where I was. Everyone in this tiny place is kind to her, from the postman to the man who mowed her fields, to the shopkeeper. 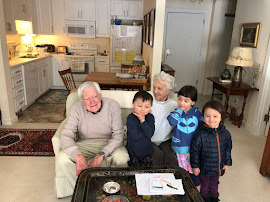 We get to know them, as we also meet the other people in Catherine's life: her children, her sister, her mother who lives in a nursing home, and even her ex-husband. These people weave in and out of her life, just as she weaves her tapestries from which she hopes to make her living in this new place. I could go on and on praising this truly wonderful book. It gave me one of the most enjoyable reading times I've ever had. I loved it. Please do visit the author's website, and her page about this book. 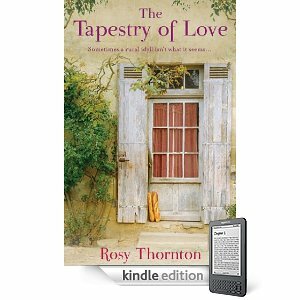 There is an interview with Rosy Thornton at Carol's blog. PS - Can you see Margaret and Matt's house on the far left?! For all practical purposes nature is at a standstill... there is a wonderful joy in leaving behind the noisy city streets and starting out along the white road that leads across the hills. With each breath of the sharp, reviving air one seems to inhale new life. A peace as evident as the sunshine on the fields takes possession of one's inner being. The trivial cares which fretted like a swarm of mosquitoes are driven away by the first sweep of wind that comes straight from the mountains. ... The intense silence that broods over the snow-bound land is a conscious blessing. The deep blue of the sky and the purple shadows cast by the trees and plants are a feast to the eye. The crunch of the snow-rind beneath our feet and the varied hum of the telegraph wires overhead are music to our ears.